Drawing inspiration from the elegant sculptural form of Constantin Brancusi’s Bird in Space, the luxurious golden facade possesses the curved form of the sculpture, while the innovative design keeps the overall building massing and floor plans rational. 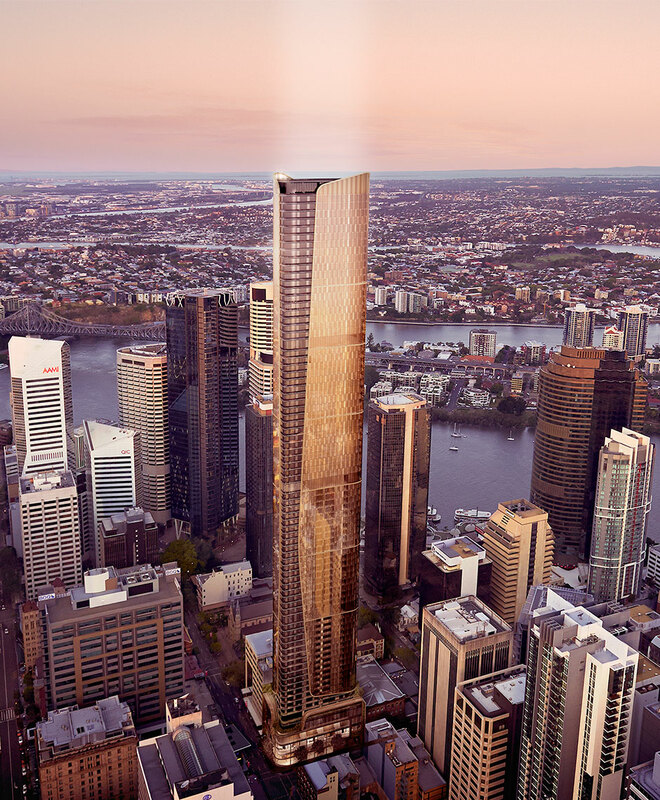 171 Edward Street is positioned to become one of Brisbane’s tallest buildings, setting a benchmark for a world-class residential development that positively enhances Brisbane CBD’s emerging reputation as a highly livable civic centre. Delivering 653 apartments over 82 storeys, its slender form floats above a subtropical terrain to create a captivating vision and a long-lasting legacy that can be appreciated at all scales from the immediate context to the surrounding suburbs. 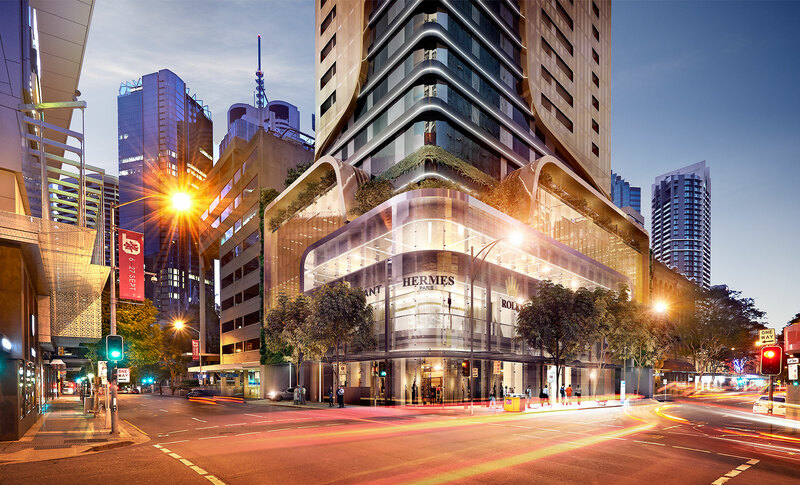 The envisaged podium architecture and street interface will reinforce Edward Street’s high-end retail character through an engaging dual-frontage podium interface. Integrated landscaped green walls, landscaped podium recreation spaces and high-quality finishes will enhance the Edward Street subtropical boulevard and create a highly desirable residential address within the heart of Brisbane’s CBD. The mix of one and two-bed apartments will be supplemented with extensive resident amenity. The amenity will take the form of a ‘recreation floor’ on level 7 including residents bar, theatre, karaoke bar, dining, gym, yoga studio and residents lounge. Level 7 will also have a large landscaped roof garden including a lap pool and spa for the residents to enjoy the buzz of the city. To add to the 5-star feel of the project there will also be additional facilities for residents on the ‘Club Floor’ at level 68, where residents can take in the unrivalled city views from the dining room, with dedicated kitchen, games room and residents lounge.